After excelling in Health and Human Development during Year 12, Estefania Quintero realised she wanted to study public health. 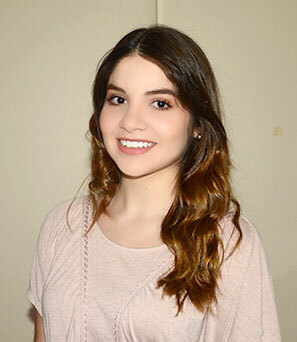 By doing her own research, talking to our course representatives and visiting us on Open Day, Estefania "felt comfortable on campus and confident that Monash was going to offer the best career path in public health." Having just completed the first year of a Bachelor of Public Health Science, Estefania has enjoyed exploring a broad range of subjects, giving her a sense of what areas she is most interested in, that could potentially lead to certain career paths within the public health field. She’s now looking forward to learning more about health promotion and global health, and the opportunity to go on placement to experience "what a career in public health looks like in the real world." Outside of her studies, Estefania is also involved in life at our Caulfield Campus, as the social media manager for the Monash Health Science Society. Learn more about the Bachelor of Public Health Science. I felt comfortable on campus and confident that Monash was going to offer the best career path in public health.